Phyllis Schlafly's top-selling conservative political classic, A Choice, Not An Echo, sold 3 million copies and launched the conservative resurgence of the late 20th century. The book A Choice, Not An Echo detailed how the liberal "Rockefeller Republican" wing of the Republican Party had manipulated the Republican Party's choice of nominees in several elections to nominate people like Wendell Willkie and Dwight Eisenhower, and called on conservatives to rally against the liberal wing and offer a true conservative for the nomination. Hence, the title of the book. Millions of copies of this book were bought and distributed by supporters of Goldwater, making it one of the all time best selling conservative political books in the United States. 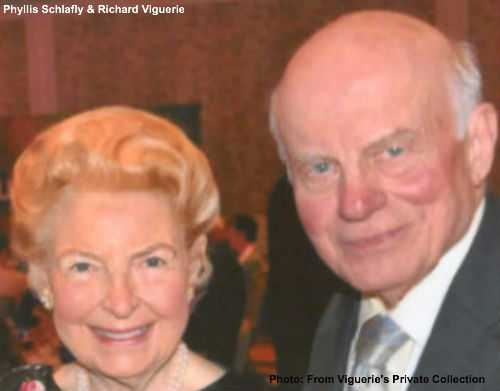 The book helped launch the career of Phyllis Schlafly as a conservative activist. The special updated and expanded edition of the book contains 50 percent new material placing the book in its historical context and applying the book's lessons to the issues of today. Listeners' questions will be addressed live on the show. Email your questions to radio[at]eagleforum[dot]org no later than noon, 12:00 p.m. ET, Saturday, October 25. You can also call into the program live toll free at 1-800-736-3202. CLICK HERE to go the Bott Radio Network website at Noon (Eastern Time), Saturday, June 28. Go to the top right-hand side of the webpage and click on the orange "LISTEN NOW" button above Phyllis Schlafly's picture. Turn up your computer's speakers and enjoy the show!